I remember seeing this scrub a couple of years ago and it has worked amazingly for me! So, for those who do not read seventeen, here you go! 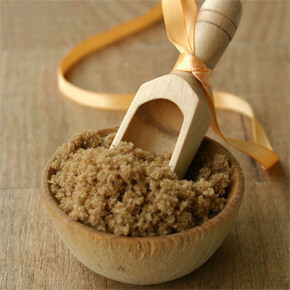 In a small bowl, mix brown sugar and milk until it forms a paste. You can alter the measurements to your liking. Take scrub and slowly massage in circular motions on face. Scrub makes face feel soft and not to mention a sweet surprise for your significant other later on! This will be great for my oily face, and I can easily sub soy milk in for regular milk (I'm vegan). I have been doing this for years. I like to use the leftover scrub on my feet, it's more gentle than a pumice stone for those delicate spots. love this makes my skin feel so good! Thanks! I will make this for my friends' birthday! Its so good, and dead simple, My skin is so soft! Thanks 4 sharing and maybe you could put some more easy face stuff, plz!